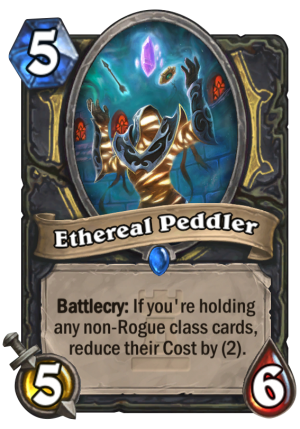 Ethereal Peddler is a 5 Mana Cost Rare Rogue Minion card from the One Night in Karazhan set! 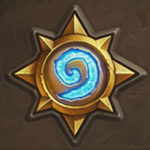 Battlecry: If you're holding any non-Rogue class cards, reduce their Cost by (2). Renounce lock into Rogue, this card, fun times. This thing has good stats even without its battlecry. Even if Burgle isn’t good enough, Huckster certainly is, so this thing will at least see some experimentation. Seriously guys? A rating of just over 3? This card has practically the best stats a 5 drop can offer and as an ADDED bonus it gives you discounts on cards from burgle or the 2 mana 2/2. WHY THE LOW RATING? It is very strong. More so because aside from Priest, Rogue has got the shortest stick when it comes to overall viability in ladder, and this doesn’t help. 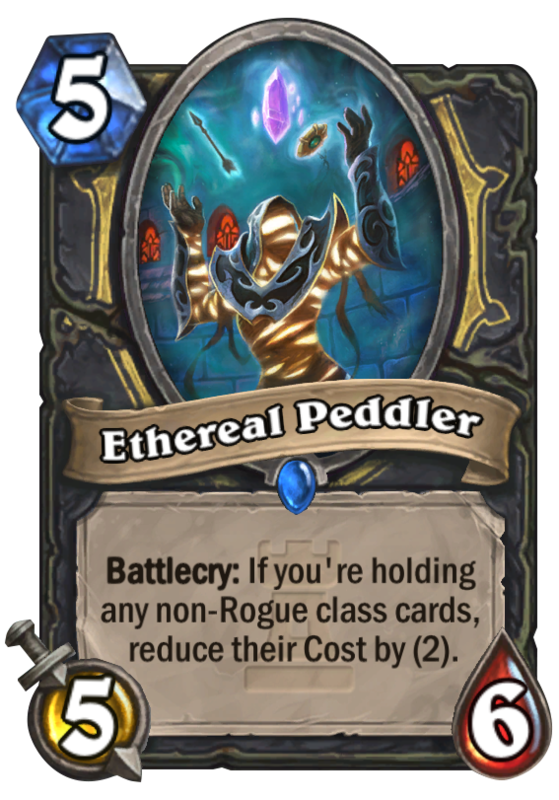 It’s a great card, but it doesn’t fill any of the niches that would make Rogue competitive again (cough Sludge Belcher Loatheb cough). Interesting idea, devevoping the stealing cards style, that matches with generall rougue stylle. 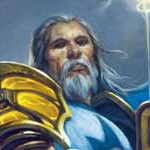 Maybe an other stealing rougue card comes in this adventure. I am not suere it will be competitive but love the idea.